UPDATE (2018-07-30): Well, after a health scare and about a month in the hospital, I'm back and better than before. I am now pursuing endeavors that have been on the shelf for quite time, most notably getting back in the outdoors. 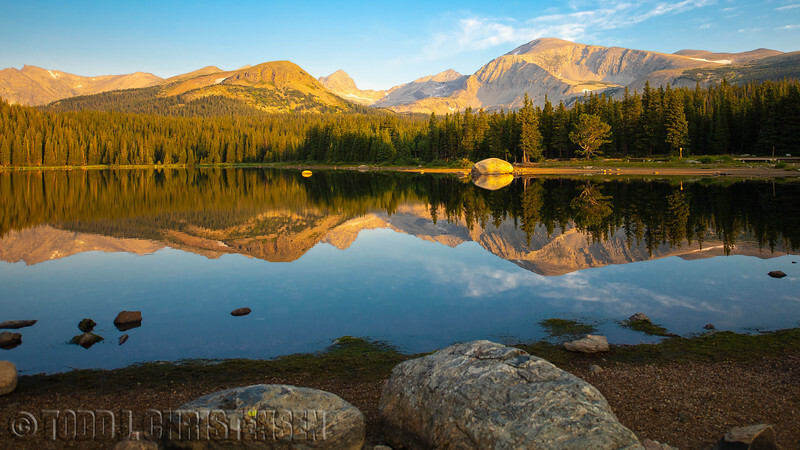 I am trying to frequent the Indian Peaks Wilderness and Brainard Lake Recreation area in pursuit of fitness, wildlife and scenery. Here is one example of the views available in this part of our great state of Colorado. Mount Audubon dominates the view looking north from Brainard Lake just after sunrise.